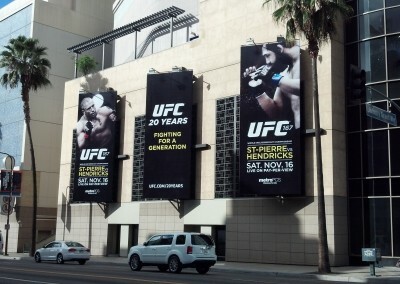 The Ultimate Fighting Championship (UFC) is the largest mixed martial arts promotion company in the world featuring most of the top-ranked fighters in the sport. 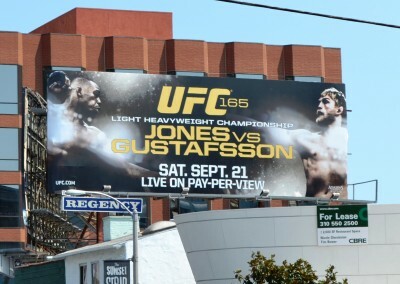 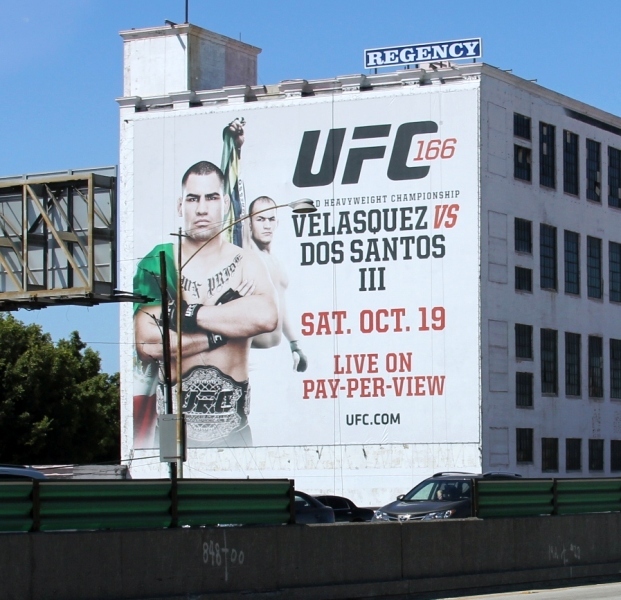 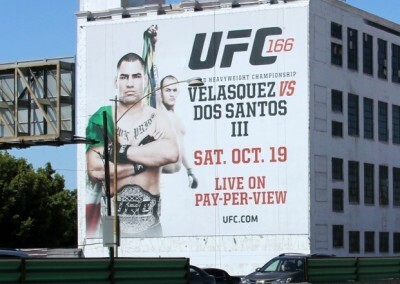 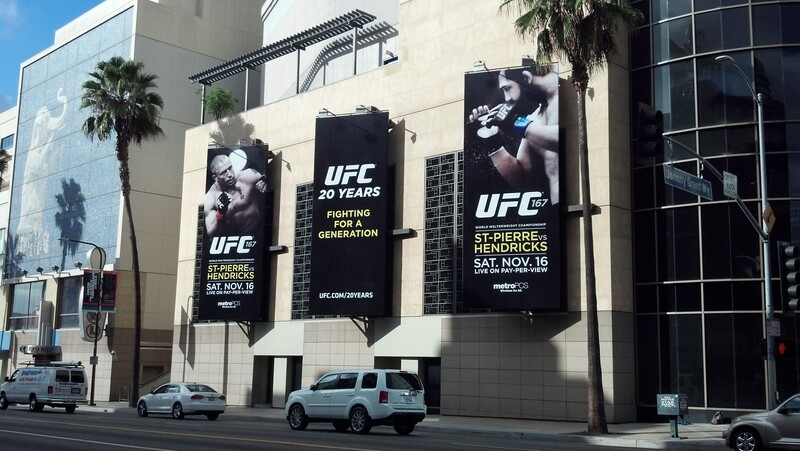 For their 20th anniversary in 2013, UFC challenged us to source and buy large format, high-impact out-of-home (OOH) locations while maintaining their lower than normal CPM. 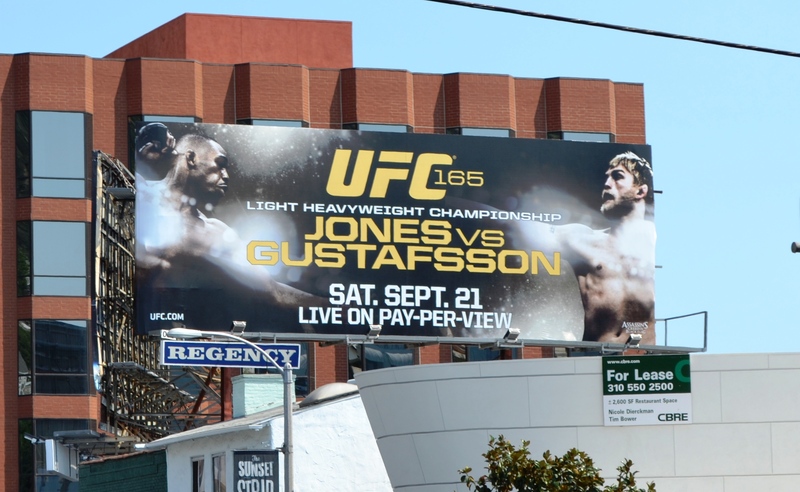 The shift in strategy would span the fourth quarter and multiple fight cards, making both location selection and production requirements critical to meeting budget and impact goals. 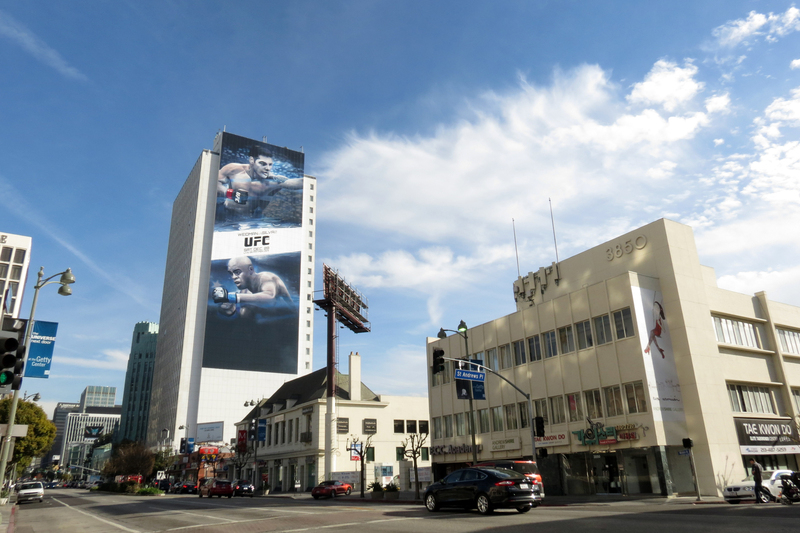 The country’s most iconic OOH locations are located in New York and Los Angeles, primarily in Times Square and on Sunset Blvd. 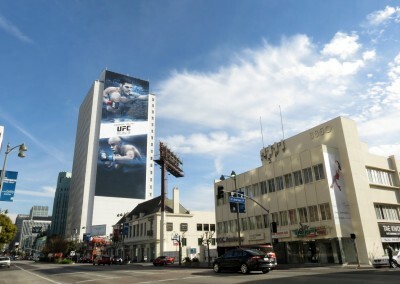 We utilized our relationships and knowledge of these opportunities in New York and LA to compile a mix of wallscapes, oversized bulletins and Manhattan busses to generate eye-popping placements. 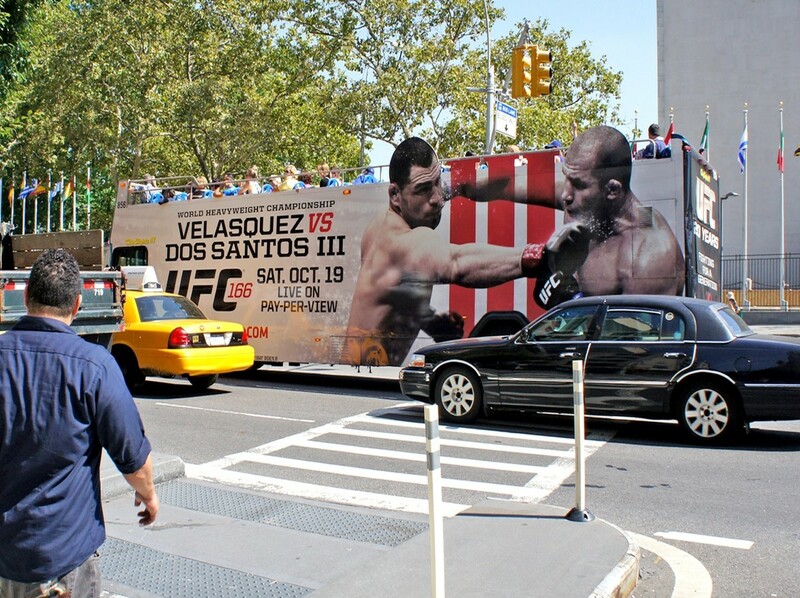 Using the large format, high-impact media in the top-2 DMA markets signaled something special to the consumer, helped build buzz for the 20th anniversary and awareness for the featured fights. 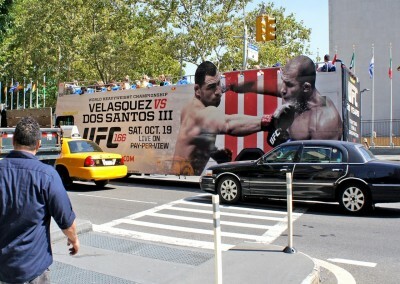 All totaled we were able to provide close to 550 million campaign impressions for a CPM of just under $4.00.